IE Engineering Group - We plan, design and execute industrial buildings. We enhance the efficiency of your processes using industrial buildings perfectly matched to your production processes – where the optimal process is reflected in a clear architectural language. 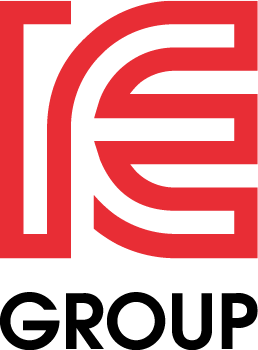 The IE Engineering Group works in small, flexible and industry-oriented units. Engineers from the respective sector, architects and building planners holistically manage our clients’ needs – from the first investment idea, through the selection of production technologies and operational and logistics planning to the general planning of extensions, conversions and new-builds. Our aim is the greatest possible efficiency for your production – with the aid of industrial buildings perfectly matched to your production processes. We specialise in industrial buildings in five different industries. Our extensive experience in these fields mean that we speak exactly your language and understand your production processes. Our industrial buildings are therefore uncompromisingly planned, from the inside out. Our IE industry-specific engineers, architects, planners and logistics specialists all work for a common cause, allowing us to create industrial buildings that convince from any angle. Production processes, technical building services and architecture are thus optimally coordinated. Here at IE Engineering, all employees are stakeholders in the company, meaning you can rely on our teams’ motivation and initiative. Experience a new kind of partnership in cooperation. Our planning and implementation guarantees give you complete security in terms of costs, deadlines, quality and function. From the initial design idea, through the choice of production technology, operational and logistics planning, to general planning and implementation, we execute all project stages – including in work contract format.